When writing about Robin Williams’ passing, my thoughts needed to be put into written form. They were not all from one place, in that being on stage means the performer is not him/herself while on stage, in a way. Sports are something entirely different. I want to say more about being an artist. 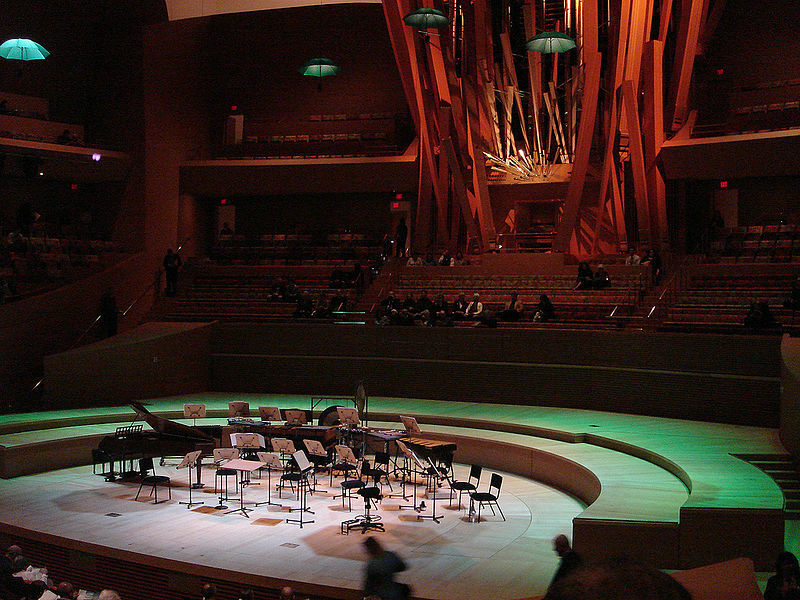 When the public attends a concert or watches a performance by other means, they can become mesmerized. It’s magic. It’s a chance to suspend cares and discomfort. They have the wonderful opportunity to enter another world. Performers do that, too! 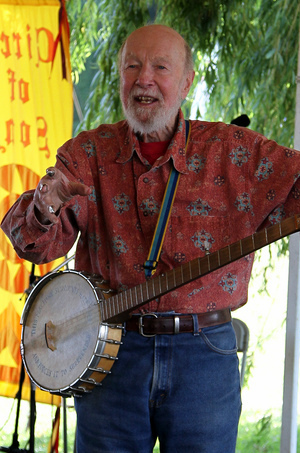 Having the ability to do that is the reason many performers are on the stage in the first place. I can’t speak for all performers, obviously, but just yesterday, I entered another world while practicing. Sometimes this occurs in mundane ways. Just before leaving home in the afternoon, I felt hungry. So I took an energy bar along and headed for a practice session. While practicing, I forgot all about being hungry. Five minutes after stopping, I was ravenous! Performers have daily lives, just like everyone else. When they are not “on,” they can feel insecure and vulnerable. Think for a moment about what percentage of their time is actually spent performing. Not so much, right? That leaves plenty of time left over for whatever normal life is supposed to be. Sometimes the difference between those two lives, performing and not, can be difficult to navigate. After a concert, there is very often a huge letdown. Just because someone is a good performer does not mean their entire personal life is wonderful, easy, ideal, glamorous… feel free to add your own terms here. You may feel you know a performer if you follow his/her career. But that is just a small part of that person’s life. I’ll give you one more example about the glamour involved: My piano trio drove from New York to Pennsylvania to play a concert. On the way back, we got lost and ended up stuck in traffic for miles. At some time around 3:00 a.m., we all became hungry at the same moment. Even though we were only 1/2 hour from home, we stopped at a highway rest area. So there we were, standing in the empty parking lot in concert dress, enjoying burgers and fries from Roy Rogers off the top of the cellist’s BMW (a relic), laughing about our glamorous lives. We arrived home at 4:00. I’d do it again in a second. We had a blast. But the next day each of us had to get out of bed and practice. Robin Williams. Source: Wikimedia Commons, Public Domain. Photographer’s Mate Airman Milosz Reterski – Navy NewsStand. 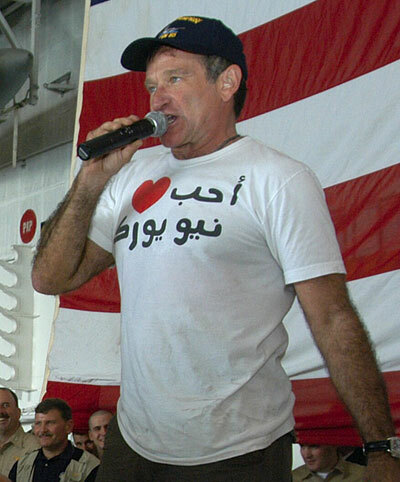 Actor/comedian Robin Williams entertains the crew of USS Enterprise (CVN 65) during a holiday special hosted by the United Service Organization (USO). The show took place in the ship’s hangar bay and featured the visiting Chairman of the Joint Chiefs of Staff, General Richard Myers, NASCAR driver Mike Wallace, and World Wrestling Entertainment (WWE) celebrity Kurt Angle. The shirt worn in the picture is the popular “I Love (Heart) New York” translated into Arabic. So many people are posting on Facebook upon learning of Robin Williams’ apparent suicide. I posted, too, then tried to do something else. I feel compelled to post here as well. Depression needs to receive much more press and public discussion. Comedians, actors, artists, musicians, dancers, writers… often struggle a great deal, unbeknownst to the public. Toni Nadal, who is Rafael Nadal’s uncle and coach, once said in an interview that people just don’t get it. They see what happens during the performance (or, in his case, the tennis tournament) and think that represents the artist’s/player’s daily life. I agree. People don’t see what happens in everyday life, whether it’s jet lag, lack of sleep, performing/rehearsing when under the weather, altitude changes, relationship issues, sleeping in a different bed every night… it’s a very long list. In tennis, even the balls are different from tournament to tournament. They come off the player’s racquet differently, react to weather conditions, and travel through the air differently in each location. From what I’ve read, people with a well-developed sense of humor are often depressed. Harvey Korman, for example, was known to have struggled with major depression throughout his life. So Robin Williams’ death, in some ways, should come as no surprise. We need to pay more attention. R.I.P., Robin Williams. Thanks for all you gave us. A fascinating piece by Dr. Daniel Levitin of McGill University appears in today’s New York Times. Dr. Levitin writes about the way we arrive at solutions, advocating dedicated project times interspersed with listening to music, taking a walk, or just plain daydreaming. He suggests that our brains, which assimilate so much more information with ever-improving data delivery, need to take breaks in order to function well. He goes on to suggest that we check email, text messages, and voicemail only during certain times of day, turning off our devices at other times. Speaking for myself, I will hear my phone beep when a text message arrives or Facebook sends an alert to my phone. I always want to know who it is! I will stop doing whatever task is at hand, whether that is computer work, practicing, or something else like reading a book. Then I will call the person back, comment on Facebook, or send an email. During one recent practice session, I was awaiting directions to a rehearsal venue. So I practiced with my phone on. You can guess what happened: I texted quite a bit more than I practiced. I have turned off my devices for years in order to practice or get other work done. It’s refreshing to read Dr. Levitin’s suggestions about doing exactly that.